Monrovia – The Office of the High Commission on Human Rights (OHCHR) has held a two-day forum for a smooth partnership between the Independent National Human Rights Commission (INHRC) and other civil society organizations (CSO) to promote gender equality and other human rights issues in the country. The two-day event that was sponsored by OHCHR was held at the Monrovia City Hall. The event brought together civil society organizations, INHRC, students and youths groups along with the government of Liberia in finding a solution to improve basic human rights issue in the country. 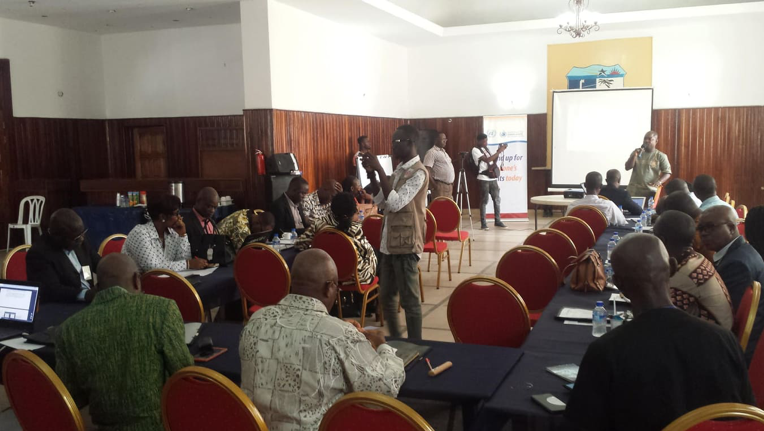 The event at the City Hall followed similar engagement between the government of Liberia and the business sector, which was held in the Port City of Buchanan, Grand Bassa County. Speaking during the forum, the Deputy Country Representative of OHCHR, Tsatu Dawson, said the essence of the forum is to form collaboration between INHRC and other CSOs along with the government to promote the issue of human rights and to also have a dialogue between INHCR and other CSOs. “It will be an opportunity for everyone to work together and strengthen that process,” Dawson said. He stressed that the issue of the INHCR networking with other CSOs members is cardinal on the agenda of the meeting. Adding up, Dawson said despite separately working in the areas of human rights, a strong partnership between the INCHR and CSOs will be a good venture for curtailing human rights abuses in the society. “CSOs and INHRC when acquainted will know each other working and challenges,” Dawson said. According to him, for the OHCHR to support the collaboration, the INCHR and the CSOs need to increase awareness and strengthen each other’s role in the area of human rights. “How they can implement and complement each other and also engage the government on the area of the rule of law,” Dawson said. OHCHR is a department of the Secretariat of the United Nations that works to promote and protect the human rights that are guaranteed under international law. The organization since early last year has started a six-year mandate to build the capacity of the INHRC and CSOs in Liberia. IMF and the Problem with Liberian economists: Utopianism!